Moms and Dads mark your calendars, because this is one event you do not want to miss! 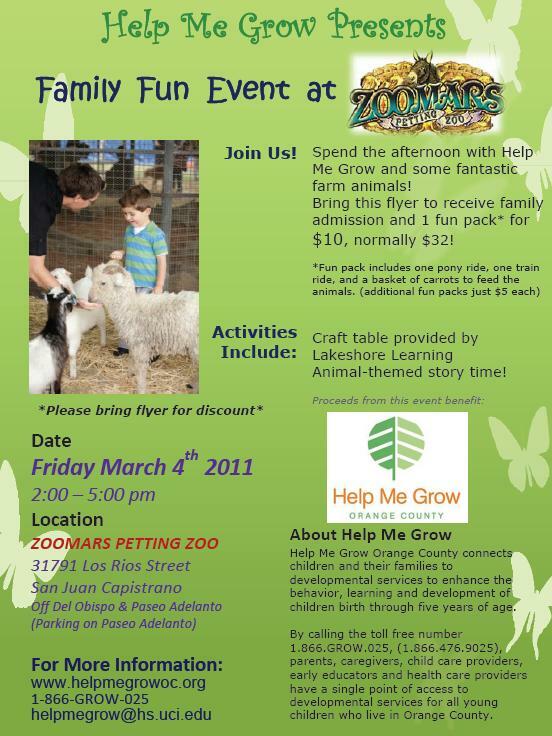 Help Me Grow Orange County, an organization that connects children and their families to developmental services, will host a special fun family event at Zoomars Petting Zoo. Print out the flier above and you will be able to receive a family admission plus one fun pack (which includes 1 pony ride, one train ride and a basket of carrots) for $10 (Reg price is $32). You will be helping out a great organization and getting a Great Deal! There will be crafts and other activities for the kiddos. The Family Fun Event will take place at Zoomars on Friday, March 4th from 2pm to 5pm. For additional info head here. This sounds great. I would love to take my son. I was not able to see the flyer. Is there anyway you can e-mail it to me? Thanks! 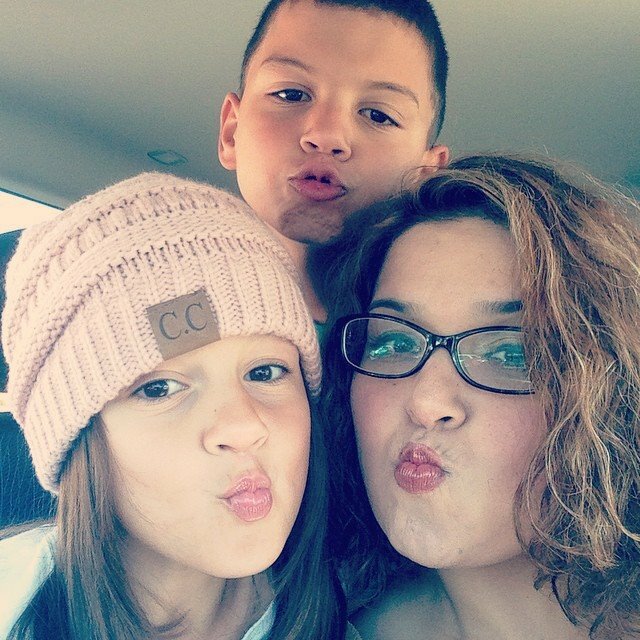 Hi Griselda, I just added a new flyer. It’s going to be so fun!